Spacewalkers Jeff Williams and Kate Rubins completed the second spacewalk of the Expedition 48 mission. 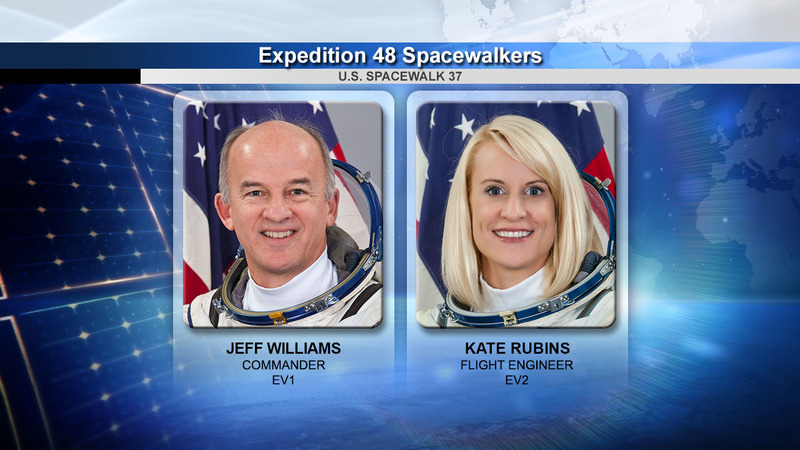 Expedition 48 Commander Jeff Williams and Flight Engineer Kate Rubins concluded their spacewalk at 2:41 p.m. EDT. During the six-hour, 48-minute spacewalk, the two NASA astronauts successfully retracted a thermal radiator, installed two enhanced high definition cameras on the station’s truss and tightened bolts on a joint that enables one of the station’s solar arrays to rotate. Space station crew members have conducted 195 spacewalks in support of assembly and maintenance of the orbiting laboratory. Spacewalkers have now spent a total of 1,217 hours and 34 minutes working outside the station. Living space section staff customers include done 195 spacewalks for putting your unit together in addition to repair on the orbiting research laboratory.